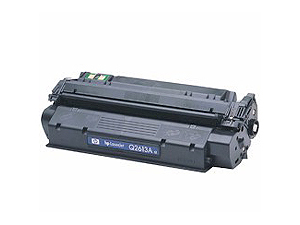 Premium Quality Q2613A Black Toner Cartridge compatible with the HP LaserJet 1300. The use of compatible supplies does not void your printer warranty. Premium Quality Black Toner Cartridge compatible with the HP LaserJet 1300 is designed to meet or exceed the specifications of the original OEM manufactured cartridge. All products are manufactured under the most stringent conditions in state-of-the-art facilities and offer the best value for your dollar. The use of compatible items does not effect your printer warranty.